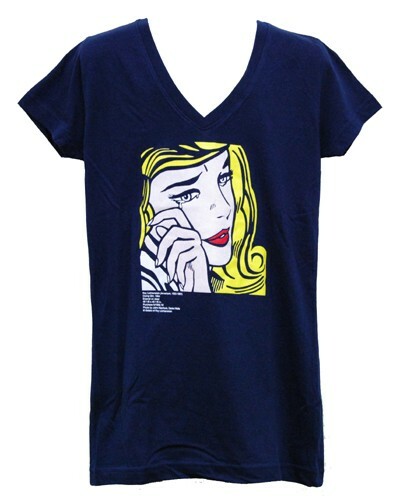 Julia Jackson is the Museum Store’s creative brain-power and organizational manager behind items like the Roy Lichtenstein Crying Girl V-neck T-shirt shown at left (I get so many complements when I wear mine and it’s really soft, too!) and the Calatrava-inspired “Wings” earrings that I love. 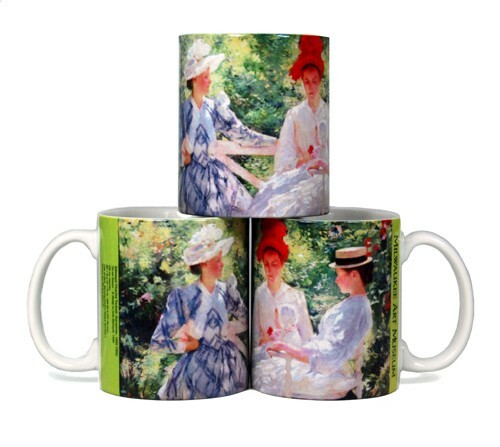 Every time you pour coffee into your Edmund Tarbell’s Three Sisters mug or admire Bastien-LePage’s Woodgatherer on a poster on your wall, you can thank Julia! i) Identify an artwork and a medium onto which it will be reproduced. ii) Gain approval from the curatorial department on both the artwork and the medium. 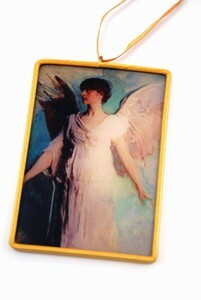 For example, the curators might get upset to see Abbott Handerson Thayer’s An Angel on a shot-glass, but it does translate beautifully onto a gilded ornament like at right. iii) Consult with Stephanie Hansen, the Museum’s Rights and Reproductions Coordinator, to determine whether artistic reproduction rights will be required. v) Contact a local Marketing Consultant who will put Julia in touch with a product manufacturer that is capable of making her vision come to life. vi) As the item moves through the production process, Julia is continuously in contact with the Curatorial team and the artist’s representative to ensure that the artwork is being reproduced faithfully. Stephanie is again a great resource for color-checking! Sooo, seems pretty simple and straightforward, doesn’t it? Whew! When it comes to developing products for changing exhibitions, Julia works closely with the Art Museum’s talented Marketing and Design team, along with the coordinating curator of that particular exhibition. Together, they sift through images of the featured artworks to determine which will best represent the exhibition as well as create attractive, lasting mementos for visitors. 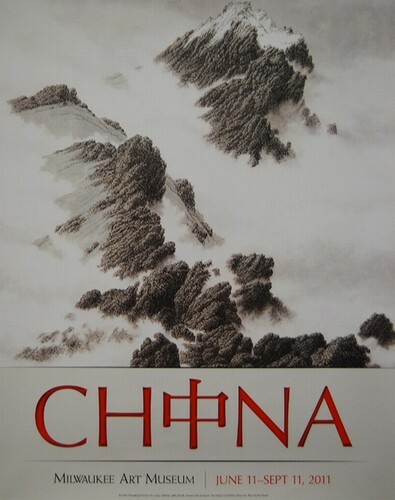 For the Summer of China exhibitions, two images were selected for posters. One (shown above) is a gorgeous shan shui landscape by Xia Yifu from the Emerald Mountains: Modern Chinese Ink Paintings from the Chu-tsing Li Collection exhibition. The other (below) is a dragon image representing the entirety of the “Summer of China” experience at the Milwaukee Art Museum. 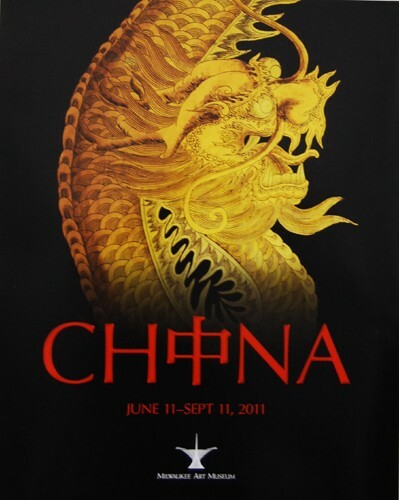 Which “Summer of China” poster is your favorite? If the Museum had the rights to reproduce any work of art in its permanent collection, which would you most want to take home with you? This entry was posted in Art, Behind the Scenes, Museum Store and tagged Abbott Handerson Thayer, ARS, Edmund Charles Tarbell, Jules Bastien-Lepage, Museum Store, Roy Lichtenstein, Summer of CHINA. Bookmark the permalink. With people like Julie on board for the store, it is no wonder the museum store is such a huge drawing card for visitors! Thanks for your comment, Judy–I couldn’t agree more! Every day I am proud to work with such dedicated, creative and charming folks like Julia.